Dubai: School students can now have a sneak peek into what Expo 2020 is going to be like, as the Expo Visitor Centre opens its doors with engaging and inspiring activities for pupils across the UAE. Designed to stir the curiosity of students, the specially-curated Visitor Centre offers a glimpse into the world of Expo 2020 that is taking shape right outside the centre. With programmes tailor-made for various age groups, the centre also helps students explore the legacy of previous editions of the World Expo and the game-changing innovations that came to the fore during the exhibition’s 167-year history. Apart from the innovative workshops, the centre, located at the northern corner of Expo 2020 site, takes the visitors through the history of World Expo and the UAE’s participation in the previous editions of the global event. Bringing to life Expo 2020’s theme of ‘Connecting Minds, Creating the Future’, the students are taken through a tour of the centre, which includes a fascinating virtual ‘flying’ tour through a 7 metre-wide curved screen. Following the video, a fun-filled learning experience is designed around the expo sub-themes of opportunity, mobility and sustainability, with installations educating students about past and future innovations. “Youth are at the heart of Expo 2020 Dubai, as we seek to inspire and empower young people by expanding their horizons. The Visitor Centre is designed to involve school students on the journey to Expo 2020, and is one of Expo’s many outreach initiatives to ensure that they carry forward a lasting legacy into the future,” said Aliah Al Ali, Director – Expo School Programme, Expo 2020 Dubai. The Visitor Centre, curated as part of the Expo School Programme, has already attracted more than 1,000 public and private school students during its soft opening. “This is a great exposure to Expo 2020 as I learned so much through this visit. I had great fun going through the workshop and knowing how Expo 2020 will look like. I would definitely want to come back and learn about the amazing innovations that happened in the previous world expos and also looking forward to visiting the Expo 2020 next year,” said Syed Keeyan Bukhari, a grade five student from Kindergarten Starters, who along with fellow students visited the Expo Visitor Centre on Wednesday. Another student, Buthainia Al Za’abi, who along with her mates from Al Shifa Secondary School, travelled all the way from Kalba, said visiting the Expo Visitor Centre was a fascinating experience. Though, the centre is only open for students for now, residents may have a chance to get a chance get glimpse into the world of expo soon. 1970 - The first participation of the emirates at the World Expo came, a year before the union was formed. President His Highness Shaikh Khalifa Bin Zayed Al Nahyan represented Abu Dhabi at the event, which was held in Osaka, Japan. 1992 – The first official participation of the UAE in the World Expo, which was held in the Andalusian city of Seville, Spain. 2010 – The UAE pavilion at the World Expo in Chinese commercial capital Shanghai won the best Pavilion Award. 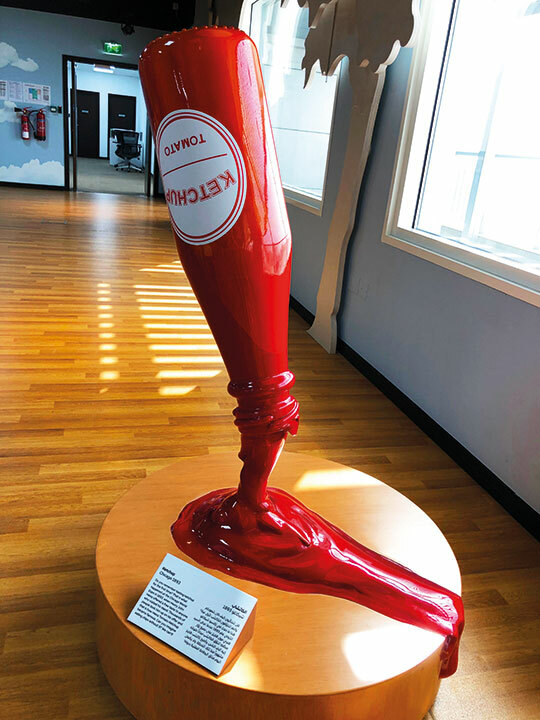 Chicago World Expo in 1893 was the first time Henry John Heinz offered a taste of tomato ketchup, getting the world hooked on to it. 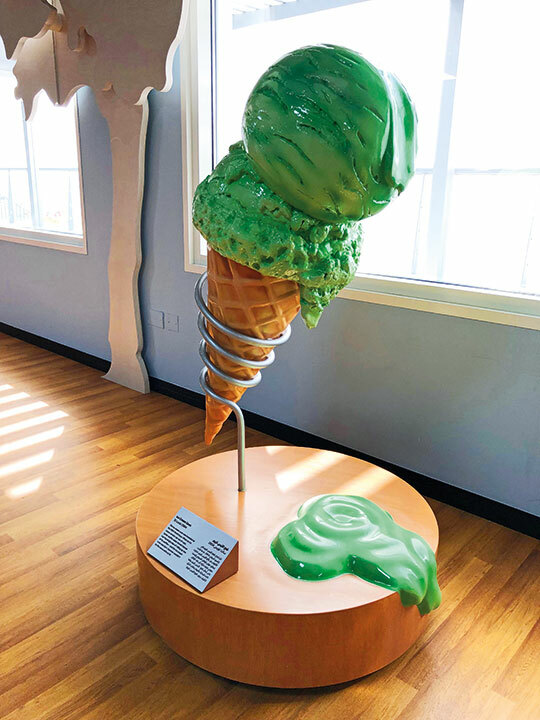 The ice cream cone was born at the 1904 World Expo held in St. Louis, when the Syrian waffle maker Ernest Hamwi had the bright idea of rolling up his waffles to replace the ice cream cups. 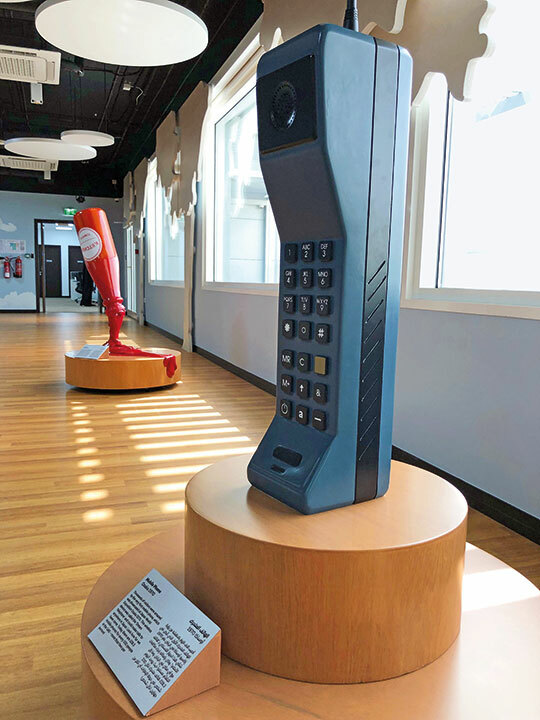 The mobile phone without which life is unimaginable now, was introduced to the world at the World Expo in Osaka, Japan, in 1970.